Food and culture always connect people and places. There are cultural and culinary linkages that exist between different communities across the world. I was happy to discover the culinary nexus between the Laps and the people of India’s Northeast region during a trip to the Arctic Circle a few years ago. I found that the laps lapped up their smoked meat with equal passion as the Northeasterners would do with theirs. Despite the enormous physical distance, the art of smoking meat connected the two communities of people from across the globe. So I found out that the Laps smoke reindeer meat, which is their staple food, on fire and call it souvas. The Samis too smoke their fish and meat. The Eskimos smoke their food - be it ham, pork, jerky or sausages, apart from seal or whale meat, as it is the only known method of preservation given the extreme cold weather they live in. Smoking of food is a method which is common to all indigenous people around the world. So, it is not something that is characteristic to the people of Northeast India alone. But surely this method is something that binds them despite the absence of other glaring similarities. 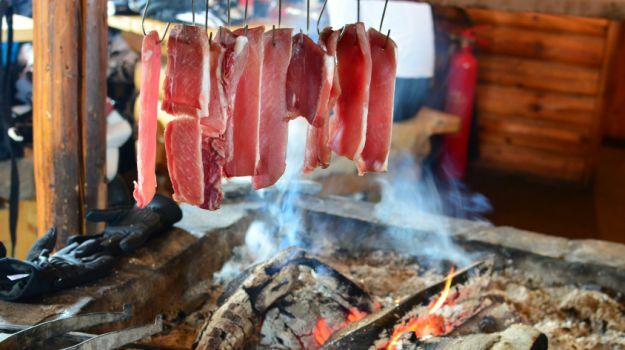 All the seven states in the Northeast region started smoking meat long before they were exposed to modern appliances like the refrigerator. And if today, despite all modern home gadgets, they continue to manually smoke their meat, it’s because of that special and delicate smoky flavour and aroma that is so difficult to replicate. Back in the ancient days, our ancestors took to smoking meat after a successful hunting expedition or for grand feasts during special occasions. They smoked the meat as it could not be immediately consumed and found it to be a rather simple and convenient way of preservation. The cultural ethos that revolves around smoked meat is always heartening as it reflects the importance of kinship among certain communities in the region. In most communities of the hill tribes, meat is first distributed among members of household affiliated in a corporate manner which is known as indongta in local Paite dialect or household council. Household council is a concept that is prevalent among some communities in Manipur and this council consists of households of married brothers, sisters, mother’s brothers among others. Interestingly, there is a concept of communal hunting wherein a group of people from a village goes for hunting expeditions. They equally distribute their share of meat from each expedition. They would go home and cook a small portion and the leftover meat is often smoked and eaten for days and even months. In the Arctic, when the Laps kill a reindeer they smoke it over a bonfire until the meat is done. Similarly, in the Northeast whenever they feast, the meat is often smoked over fire after following a certain process of preparation. But why is smoking considered an ancient method and what is so special about it? The process was invented as there was no provision for storing food and people then relied on their own wisdom. They smoked their meat essentially to preserve it. In the process, they learned that smoking dehydrates the meat, kills antibacterial properties and even enhances the flavour. 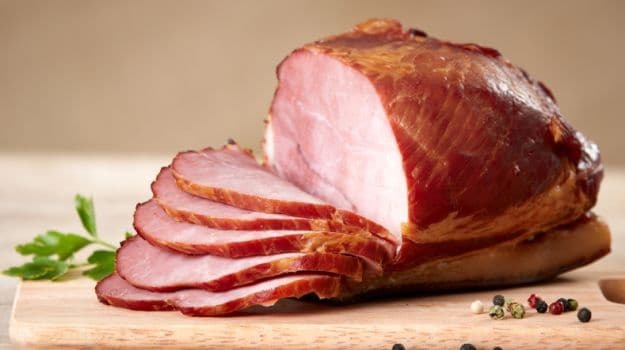 Try chewing on a piece of smoked meat and the characteristic flavour will instantly hit you, as the juices slowly ooze out to fill the mouth. Generally, the technique is to first cut and wash the meat. Then salt is rubbed in good quantity and it is then cooked in a cauldron without water to allow the moist meat to dry slowly. This is a preliminary stage. When the meat is dry and cooled, it is either kept in a mesh basket or needled together in skewers of iron or bamboo and dried in the sun or over the kitchen fire. One of the most interesting features of a primitive kitchen was the shelf over the fire which was an important place to dry or smoke vegetables or meat. Such kitchens are now relegated to the background for a more modern and functional kitchen. 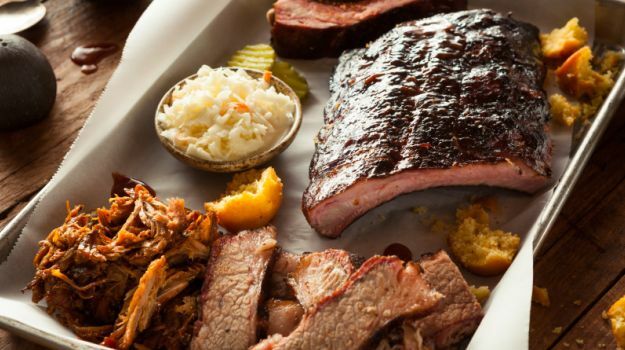 Across the Northeast region, smoked meat holds an important place. The Mizos who love their meat call it sarep. And sarep is something every house would have throughout the year. They first chop the meat and after washing and rubbing salt, they put the pieces on skewers called tulthir (made of either bamboo or rod) and keep them over firewood for a night or two. The Garos of Meghalaya smoke meat which includes pork, chicken, fish, beef and venison. ‘Smoke’ means ripoa or gran. 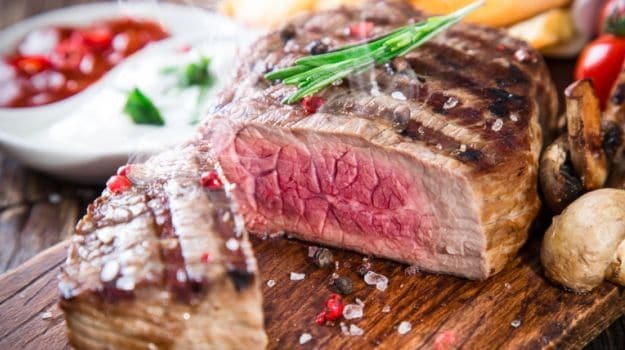 Meat is smoked without salt. 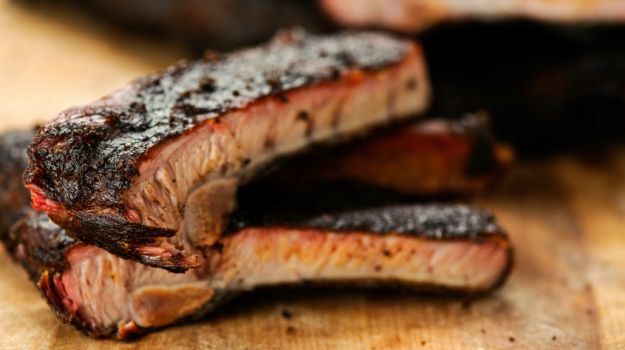 It is only after smoking that salt is rubbed over the surface to preserve it for a longer period. Even to this day, they smoke the meat on wood fire, which gives it a delicious smoky flavour. The Nagas too love their smoked meat. The Sema tribe usually smoke their pork by cutting the pieces, washing them and then rubbing salt onto it. They light fire using good firewood so that chunky coals are produced. They cut the meat into six inches or so, and put them on a steel mesh over the burning coal. The smoked meat is called aakhuho. The process can be a little tedious as someone must keep an eye on the fire to ensure the flame isn’t too high or too low. One has to repeatedly turn the meat to ensure they are evenly done. It should be a bright maroon and when it cools, it is kept in a refrigerator. They called this ashi kipiki. So, smoked pork is called awoshikipiki, which is relished with steamed rice and even added in other dishes of leafy greens just to add flavour. The smoked beef is called amishishi kipiki and this is perfect for preparing a hot and fiery chilli-based dish. Just add pieces of smoked beef into the preparation and mash it. There are very few words to describe that flavour! The article was superb, came to now how ancient people survived without refrigerator. This kind of smoke cooking should be encouraged in todays worlds because it has no oil involved in it.For more such foodie facts and tips link on th below link. Awesome post. When i visited India first time, me also got a chance to taste this smoked meat. Your post just recall that day and the taste too. Thank you for your post. thanks for sharing nice thoughts with us! My co-workers are always finding some excuse as to why they aren't selling as many units as they would like to.